Intercoms are another of our specialties here on the coast. Quality brands, reliable, robust; these systems give the householder peace of mind by being able to find out who the visitor is prior to opening their home to them. 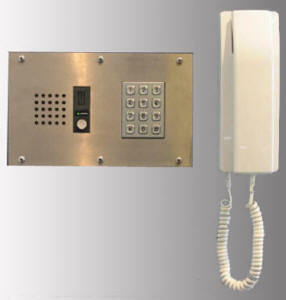 Noosa Home Tech offers a large variety of intercoms with many features and options available. Whether communication, security, convenience; or a combination of all three are your priority; we are are happy to help you decide which intercom will best suit your needs. Ensure you check ACCESS CONTROL for hints on optimising your intercom system. How do you and visitors exit?